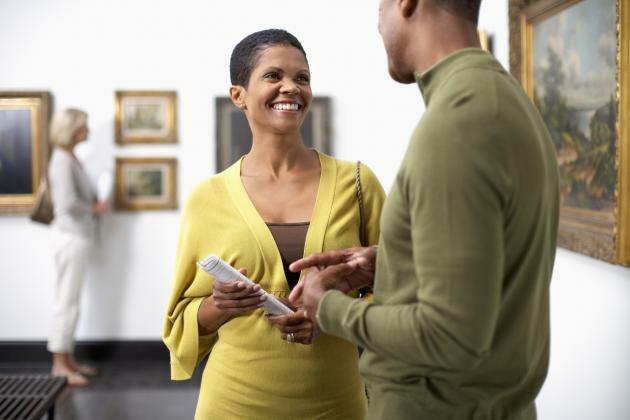 For the capital’s black singles there are lots of exciting ideas to take advantage of. If you’re looking for cultural dating locations to impress your date, here are some of the best destinations around London at the moment. Talawa was set up in 1986 and today it’s one of the most successful Black theatre companies in the UK. With productions from African classics to Oscar Wilde and Shakespeare, the company prides itself on cultivating its audiences and ‘gives a voice to black British experience’. Recent productions include Rum and Coca-cola by the Trinidadian playwright Don Warrington, whose work is described as ‘funny and politically acute’ - you may also recognise him from the programmes Rising Damp and Doctor Who. Would your dating companion like to dabble in a bit of history? At the time of writing, the team at the Black Cultural Archives are in the process of renovating and moving into Raleigh Hall, a historic building in the centre of Brixton which is soon to become the UK's first Black Heritage Centre. The centre, which will open in 2012, is dedicated to commemorating and celebrating the experiences of people of African and African-Caribbean descent in Britain. The collection at the Black Cultural Archives includes around 10,000 documents, including photographs, periodicals and letters, dating back five centuries. Performances, seminars, courses, and film screenings are just some of the cultural offerings up for grabs at the Bernie Grant Arts Centre in Tottenham, which is named after the legendary black MP who was respected for his commitment to social justice in the UK. This is a good dating spot if you or your date are into dance performance – recent performances include Cerebro and Friends, a street dance group, who are influenced by James Brown, Michael Jackson and the Electric Boogaloos to name a few. If you’re after something a little more refined, the Arts Centre has also been known to show performances by the popular Ballet Black, a neo-classical ballet company for international dancers of black and Asian descent. The arc gallery is a ‘must see’ for lovers of modern and contemporary African and Diaspora art, and is located on a converted long boat within the Upper Lee Valley in North London. The gallery exhibits works from local amateur artists and featured artists, as well as diverse art from all over Africa. Visiting the gallery you will find work from generations of artists from African decent whose art address issues ranging from cultural identity, to history and modernity. If you’re a budding artist yourself you can even submit your own works for review by a curator.